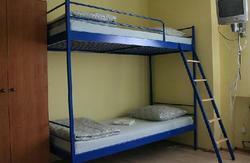 The Riverside Hostel offers 40 beds arranged in four dorms and three private, double and triple rooms. 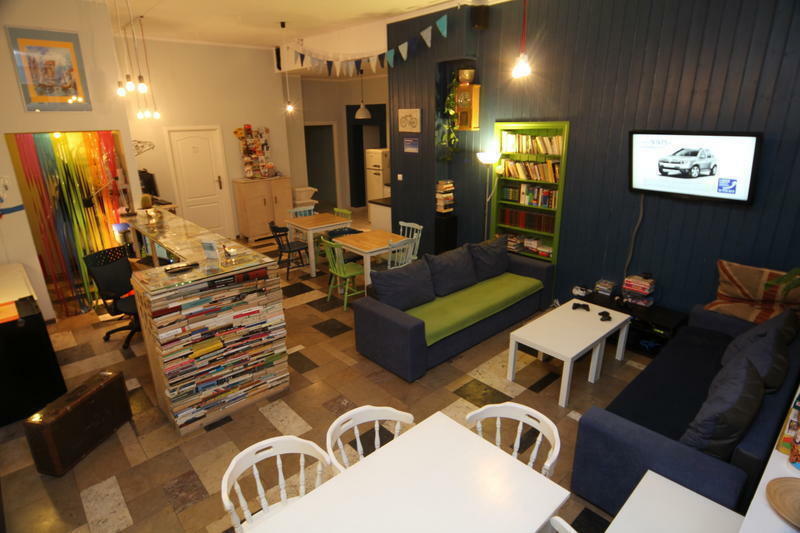 After a day of sightseeing, we invite our guests to relax in the warmly decorated common room, where you can just sit on the couch or chat with other travellers from all round the world, surf the Internet. There is a TV, DVD, movie collection, ps3 console, some computers, internet Wi-Fi, board games, books. All round the clock there is a well-equipped kitchenette where you can cook or just make yourself a nice coffee and tea. Start your day with delicious breakfast and hot drink from the coffee maker to build up strength for wandering around Gdansk - perhaps in a kayak or by bike. We wish you a pleasant and enjoyable stay in our hostel, hoping you will visit us again! A friendly staff awaits you 24h at the reception, capable of answering all your questions, solving any problems and also helping you book a ticket or showing the best places of night life in Gdansk. >> get off at the last stop then take train SKM to Gda?sk G?wny >>walk to the very city center, D?uga Street and D?ugi Targ >> go straight ahead to the end and turn right before Green Gate into Powro?nicza Street. Our hostel is on the left, after 20 meters. >>get off at bus stop Galeria Ba?tycka>> take a tram no 6 or 11 towards Gda?sk >> get off at stop Brama Wy?ynna >> go to the tunnel (turn left) to D?uga Street and D?ugi Targ >> go straight ahead to the end and turn right before Green Gate into Powro?nicza Street. Our hostel is on the left, after 20 meters. Our hostel is located opposite to the Radisson Blu Hotel. The walkway feeds into the main avenue of the historic district, Dluga Street (pronounced 'DOOL-ga'). A few minutes walk takes you to the end of the square. Just before the Green Gate, take a right onto Powroznicza Street. Our hostel is a few meters up, on the left, opposite the main entrance to the Radisson Blu.